The food you serve at your wedding will be something your guests will remember – and how could they not?! It will most likely appear on Instagram at least 10 times before you’ve even taken your first bite. So, not only does it need to taste fabulous, but it needs to look the part too. So far, 2018 has been a fabulous year to see new trends emerging in the wedding planning world – especially where the food is concerned! 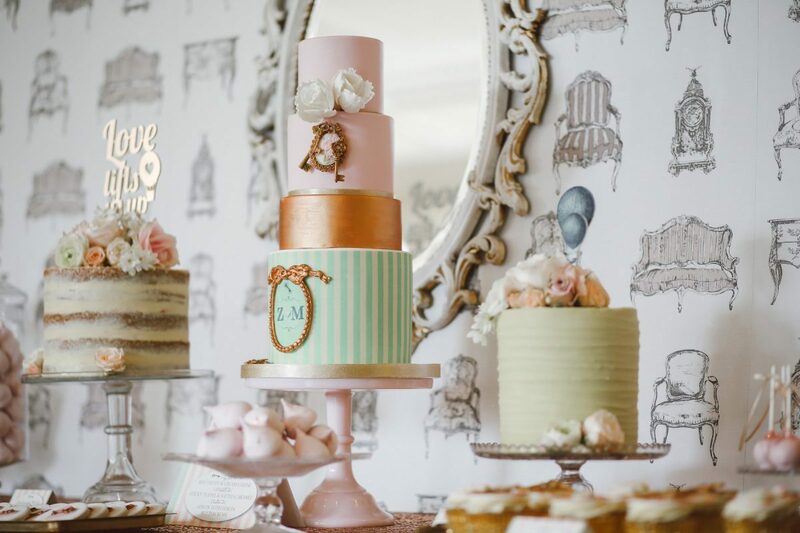 We’ve analysed these trends, and spoken to many of our beautiful brides to be’s to put together what we believe the 10 tastiest wedding catering trends will be for 2019. 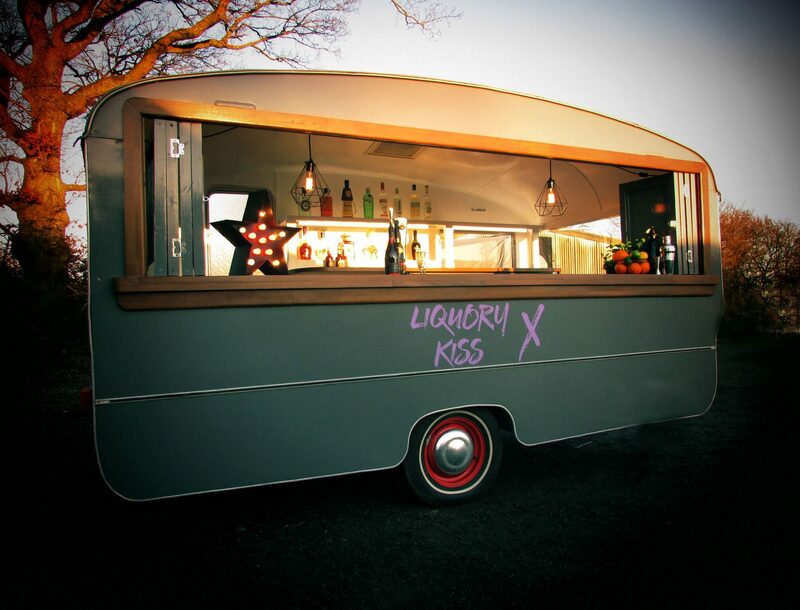 Unsure on which direction to go with your wedding catering? Let your date inspire you! The seasons are such great inspiration for weddings, especially where the food is concerned. Winter wedding? Stick to a hot meal with hearty foods – ideal to warm your guests through before they get their dancing shoes on! 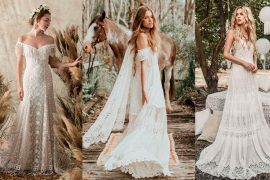 Spring, or Summer wedding? Then keep things bright and airy with your menu – afternoon tea is still set to be favourite choice for your wedding breakfast throughout the warmer months in 2019. Do you love a bit of adventure in life? Are you always jetting off with your better half? 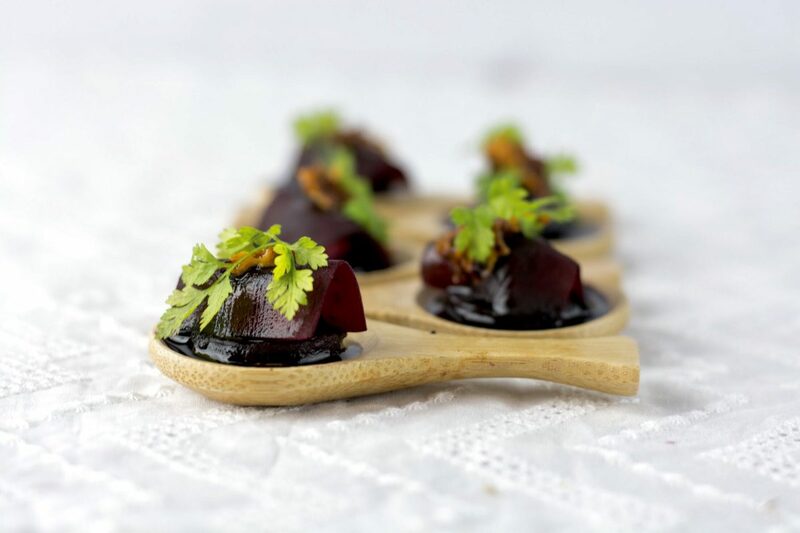 Then bring an element of that to your big day and get adventurous with your menu! Don’t feel the need to overly cater to every guest at your wedding if it means missing out on what you love. Be it Indian, Mexican, or maybe even Thai cuisine – as long as you have some ‘safer’ options available, then you should really be able to have your curry – and eat it too. 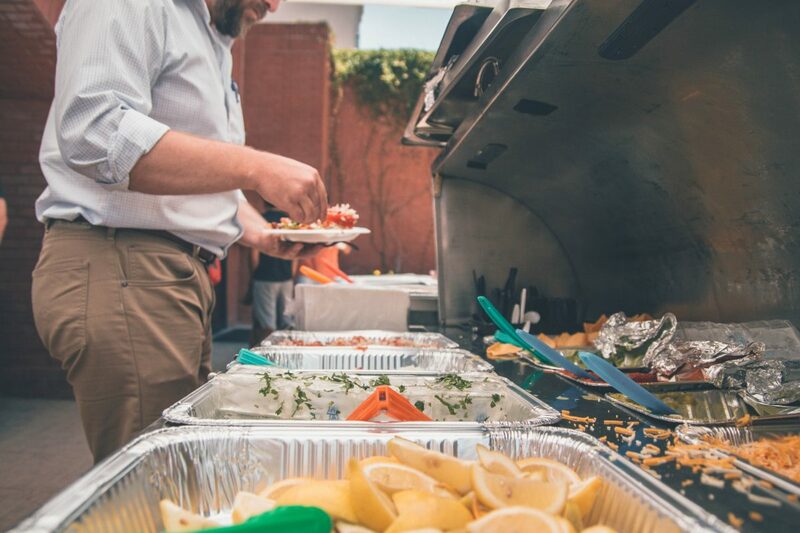 The traditional 3-course sit-down wedding breakfast may not be your cup of tea at all, but if you can’t house a food van, and you’re not a big fan of a buffet set up, then you may feel that your options are limited. If this is the case, then sharing bowls may be the solution to your wedding catering dilema. 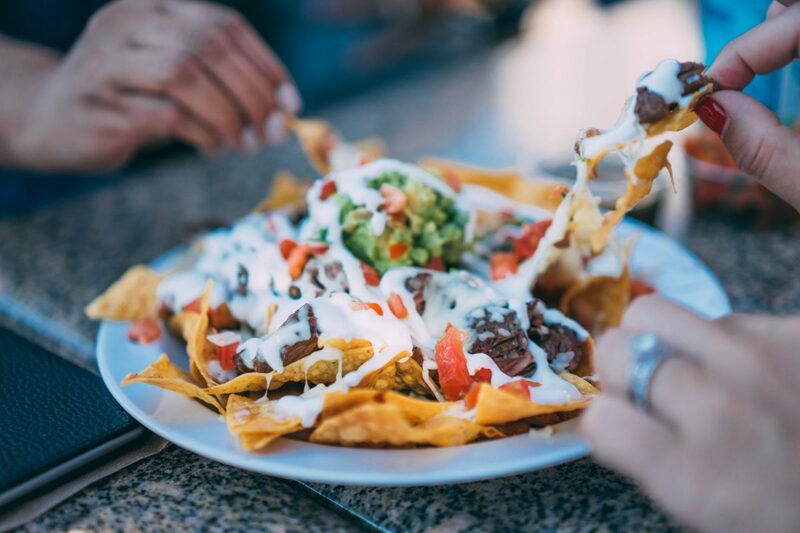 Sharing bowls allow flexibility to your menu, in the same way as a buffet menu may, but it avoids the self-service option that sends your guests on a plated conga line around your venue! 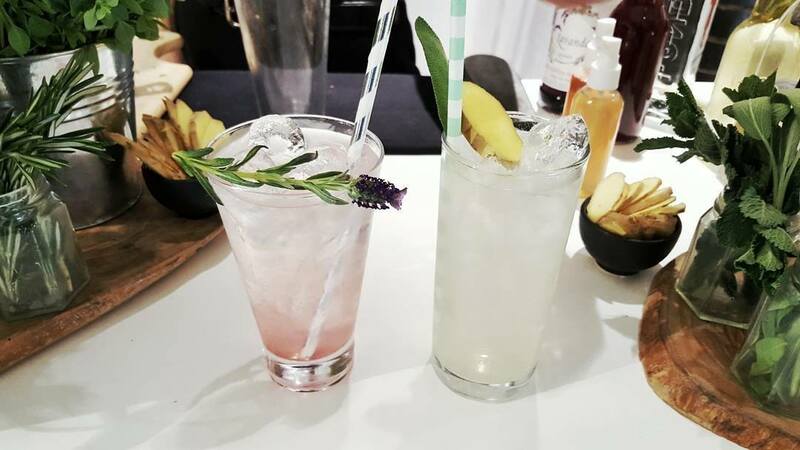 What cooler way to celebrate your new marital status with your wedding guests than to make a toast with your very own personalised cocktail, tailored exactly to you and your new spouse. Haz & Meg pulled this trick at the royal wedding earlier in the year, and since then it has been in high demand for bar suppliers. Feeling playful? Maybe you just want to throw tradition out of the window and bring some real fun to the catering aspect of your big day. Interactive food stations are a great way to do this, and to ensure people will be talking about your amazing food, rather than how drunk the best man was during his speech. ‘Build your own pizza’ or crepe stations are a great way to let your guests get involved with their food, and is something a bit different from the usual chocolate fountain set up that has been so popular in years passed. No matter how delicious the wedding breakfast was, once the bar has been open for a few hours, and the serious dancing has started, hunger always strikes again! 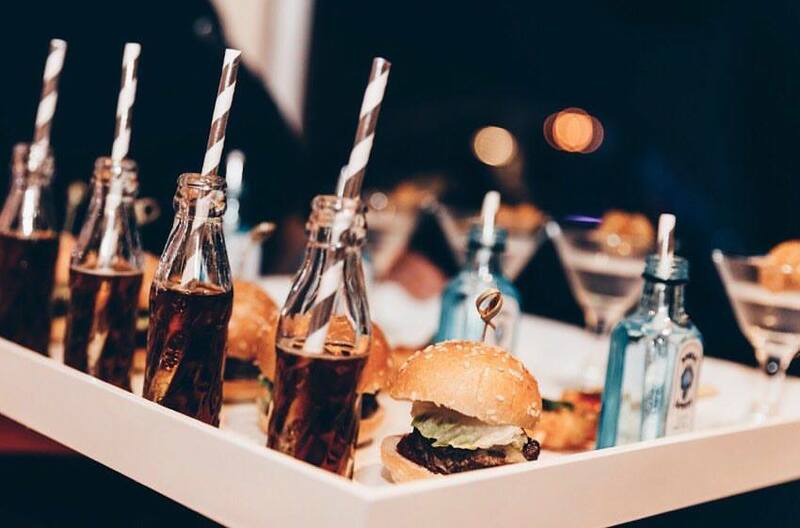 Combat this with the growing trend of midnight snacks – smaller food stations brought out in the later hours to satisfy your hungry party people. This might be in the form of a few simple savoury snacks & cheese boards or, done right, the perfect hog roast booking can also include midnight bacon butties – what’s not to love about that! 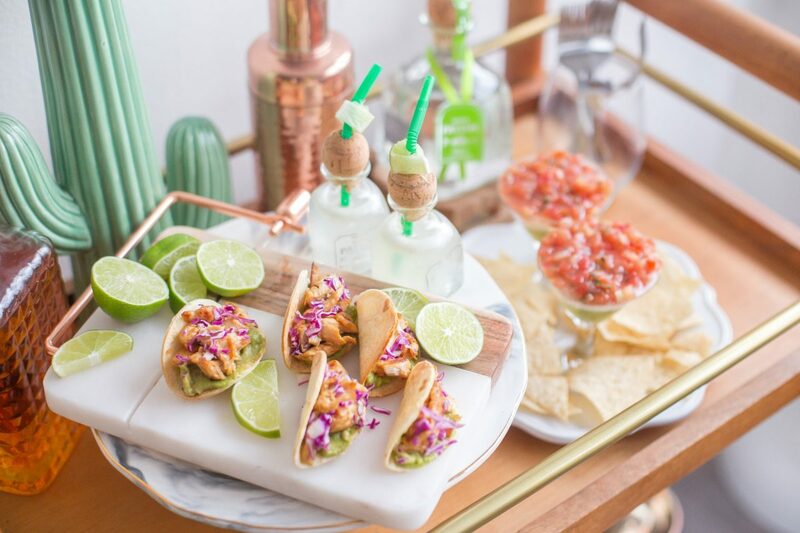 Okay, I’ll admit – this one isn’t exactly a new catering trend for a wedding, BUT it is still growing in popularity and is a great alternative to traditional wedding catering. Food fans come in every shape, size, and cuisine and your guests will love this festival style approach to feeding! Perfect for outdoor and summer weddings but always worth thinking about, whatever the weather! 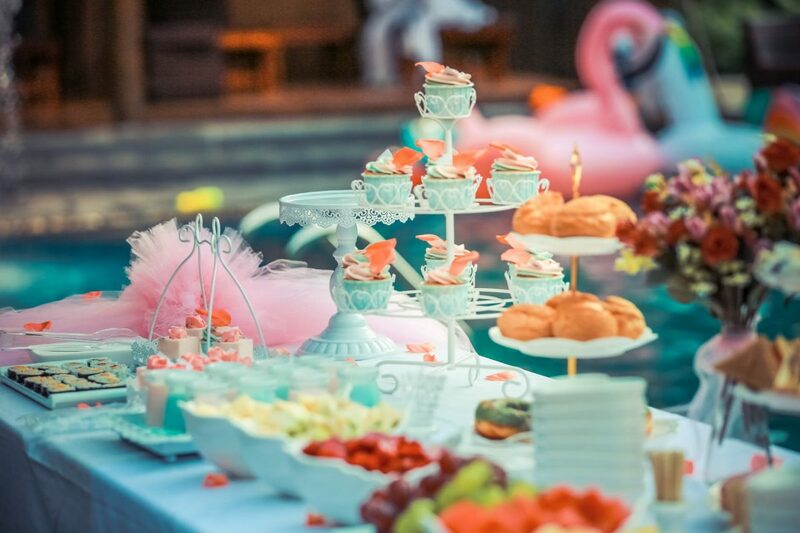 If you’ve spent so long meticulously working out the colour scheme for your wedding, making sure the bridesmaids’ dresses fit with the decor and grooms men’s ties with the car ribbons, chair covers, centerpieces … so, why stop with the wedding catering! Follow through with your colour scheme and make a statement! It might be the cocktails you serve, your wedding cake, or even colourful canapes – it’s the time to be creative! If you plan on inviting children to your wedding, as most people do, then please, make your life easier and cater to them! Obviously, chocolate fountains and sweet carts will always be a favorite but think about other ways to appeal to their (perhaps not so) sophisticated taste buds. Pizza, prepared and cooked right there, crepe vans, healthy milkshakes or maybe even a pasta station, these are all easy ways to please the masses, little ones included. 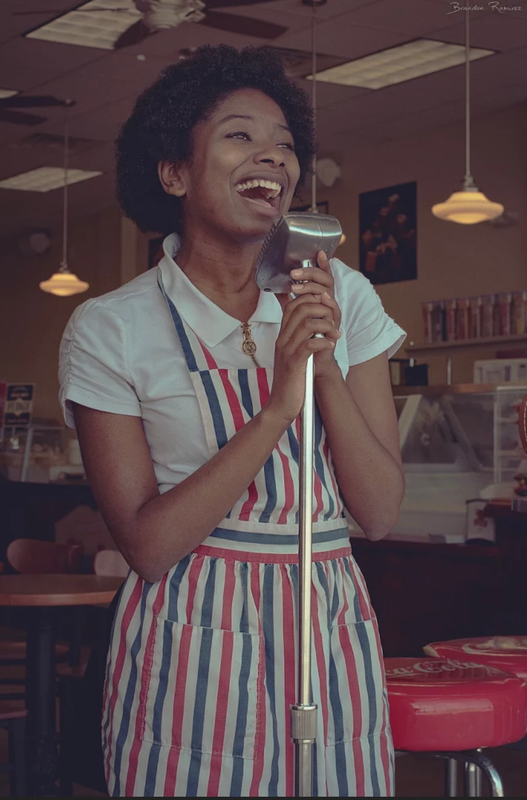 Okay so to finish, here’s one that isn’t strictly catering related, but due to the increasing popularity all throughout this year in the wedding industry, I can’t help but mention: Secret Singing Waiters. Picture this: You’re attending a wedding of a close friend, and just about to start eating dessert. You realise there is some commotion between two of the waiters at a nearby table that suddenly turns in to a row and suddenly a plate is dropped with a crash! Before things can get awkward all is revealed and the waiters burst into a fantastic performance of a song, always to everybody’s surprise and delight. Jump on this trend for your 2019 wedding right away and bring a special surprise to your big day. 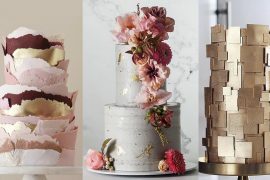 Also, check out our guide to wedding catering and 2019 wedding cake trends. Pingback: The 6 Most Delicious Wedding Food Trends in 2019 – Our Nuptial Chest | Wedding Cash Gift Registry.